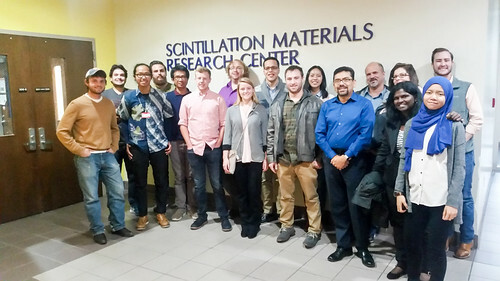 Pictured, from left: Edwin Amanda Crystal, Yanuar Setiawan, Barbara Fisher, Patrick O’Neal, Haydyn Daughtery, Logan Scott, Nuraslinda Anuar, Ernesto Ordonez-Ferrer, Robert Schafer, Rainbow Suh, Sunil Chirayath, Dany Mulyana, Jeremy King, and Jessica White Horton. 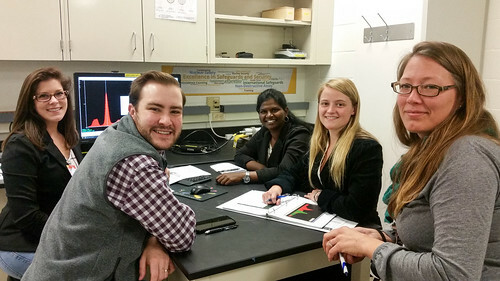 From November 13-16, twelve Texas A&M University nuclear engineering graduate students from the TEES Nuclear Security Science and Policy Institute (NSSPI) traveled to the Oak Ridge National Laboratory in Oak Ridge, Tennessee to participate in a short course in non-destructive assay (NDA) techniques at ORNL’s Safeguards Laboratory. Photo of NSSPI group at the University of Tennessee at Knoxville. The course consisted of lectures and hands-on experience with safeguards instrumentation and software, providing the students with practical understanding of a number of NDA techniques used for measurements and characterization of special nuclear material in international safeguards applications. 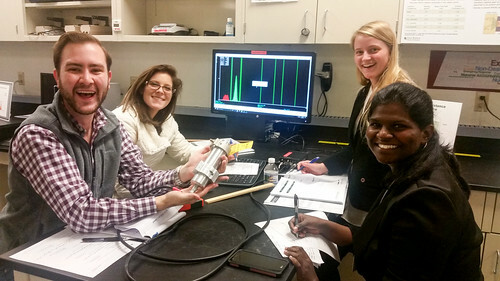 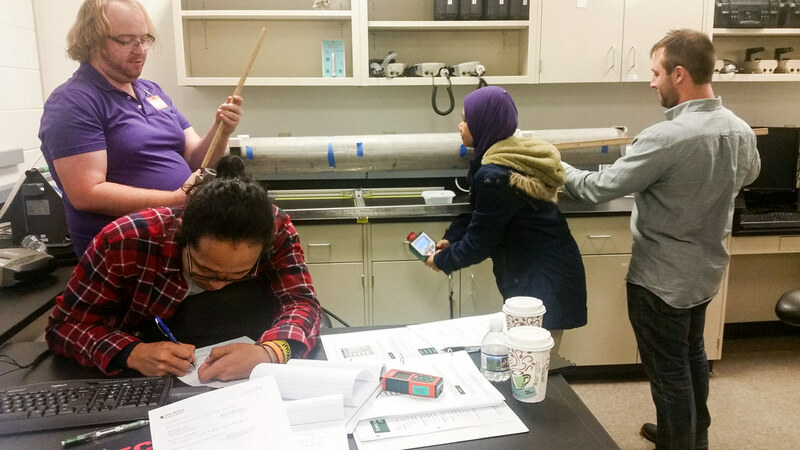 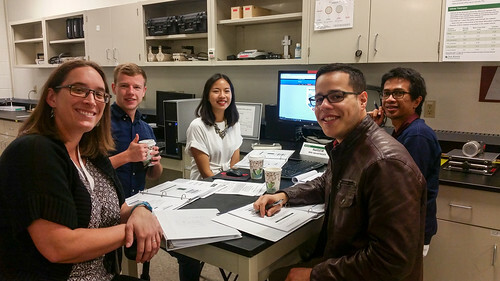 This experience is intended to supplement the material taught at Texas A&M in the “Nuclear Fuel Cycle and Material Safeguards” (NUEN 651) and “Radiation Detection and Nuclear Materials Measurement” (NUEN 605) classes taken by all students pursuing a graduate degree with a specialization in nuclear nonproliferation. 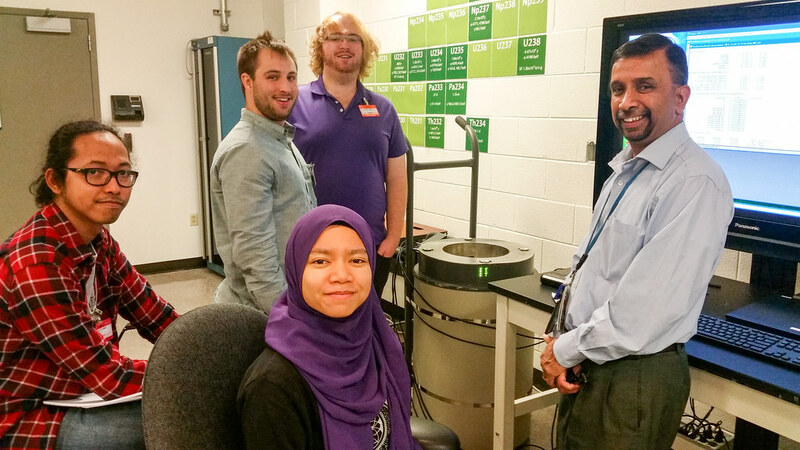 While in Oak Ridge, the group had the opportunity to tour various nuclear facilities at ORNL, including the High Flux Isotope Reactor, the Radiochemistry Hot Cell Labs, the Graphite Reactor, and the Spallation Neutron Source, as well as the nearby Y-12 National Security Complex. 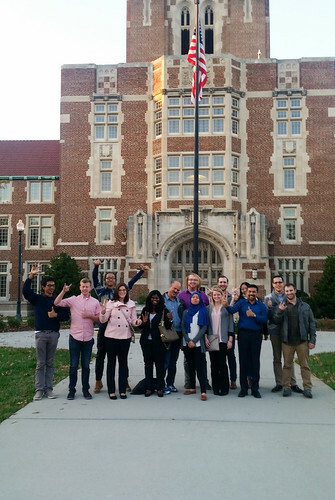 They also traveled to the University of Tennessee in Knoxville to meet with faculty and students in their nuclear nonproliferation education program. The students were accompanied by Dr. Sunil Chirayath, NSSPI director and associate professor of nuclear engineering, and Dr. Craig Marianno, NSSPI deputy director and assistant professor of nuclear engineering. Jessica White Horton at ORNL coordinated the training program, which was sponsored by the U.S. Department of Energy’s National Nuclear Security Administration.